Have you found your business growing lately and are in need of more workers? Adding a workforce team should be handled with care, as there are so many different routes you can take, each with its own result and outcome. For your business, you want to make sure the contractors, employees, and/or freelancers you end up hiring will be the best possible choices. These can make or break your business, and you already know the hurdles you are faced with when growing your team. In this article, I spoke with Connor Gillivan, co-founder and CMO of FreeeUp, an online hiring platform that recruits, vets, and interviews hundreds of freelancers each week. Connor understands the importance of adding experienced workers to a business. Add his insights to your utility belt of tricks when you have to grow your company with new hires. Mr. Gillivan suggests how your business hiring foundation could be found on only four principles. 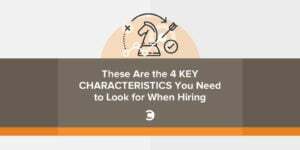 These attributes and characteristics are what you should be looking for when you are thinking about hiring someone on your team. One characteristic you should always look for in a new contractor or employee is problem solving experience. While you can’t dig out a crystal ball and foresee the future, you can adapt to the ever-changing problems of business by adding one of these people to your team. The problem solver looks to resolve questions and attack the circumstance creatively and effectively. They do not back down from a challenge and, in fact, welcome it because the problem solver is efficient and organized. This person will often remain objective until a solution is found and welcome input from other team members in order to find the correct solution for your business. They will also identify opportunities in certain situations, and while it may seem bad at the time, the problem solver will turn it into gold. This is what they do. Your business can benefit from a person who can reverse engineer, be open-minded, and take the information given and turn it into transformative action. These people are leaders, and if your business is growing, you will have to turn it over to someone you can trust to hold the reigns of the company while you’re out running big picture stuff. This person is self-explanatory. In the marketing industry, you will be hard-pressed to find someone who isn’t a workaholic these days. However, it’s still important to understand the person’s goal within your company. Where do they see themselves within your business in the next five years? If they have a plan for your business, you can assume they will be there to achieve their goal five years later. The workaholic loves what they do and will usually do it over anything else. These people are the foundation of your business—people who will come in early and stay late to help your company reach their goals and accomplish everything you have envisioned for that week. Find a person who can fill a position in your team who loves what they do. Every successful business owner will tell you their team has mastered the art of communication in their company. Communication is the lifeblood of your team, and it’s important to have employees or contractors who understand the fine art of communication. Stay away from lone wolf operators—people who would rather do it by themselves than with others. This is usually a sign they don’t work well with a team and, therefore, communication might not be very important to them. Your business will thrive off someone who is always in communication with the team, understanding what they need to be doing that day and in touch about the progress of a particular project. You can instill good communication skills when you hire someone at the beginning, but it is up to you to make sure communication is always there and that your team understands how much you value their opinion about a certain situation. The easiest way to kill communication is to create the idea in your team’s mind that their opinion doesn’t count. Your team will be pushed to the limits with people who are competitive. The competitor is always wanting to win, to be the best at what they do. They see the end goal and enjoy working towards it each day. This is why it’s so important to share your vision with your employees because it helps them to continue the process of competition. Competition is a continuous process. It is something which will never come to an end. This is a healthy attribute—not only for the competitor, but for everyone on the team. Most businesses prefer competitors on their team because they build constructive attitudes within their company, growing the everyday positivity of the work within the company. In fact, competitors are known for their camaraderie, assertiveness, and encouragement within the team. Your business needs important people to help keep it floating in your ever-changing industry. 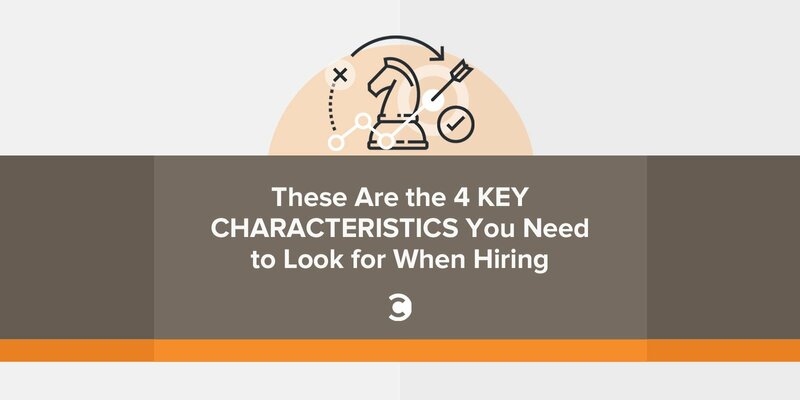 While there are many personal attributes you may be looking for in a person, you will definitely want to keep in mind these four important characteristics which can help build your team to success.